One of the newer additions to the Kingfield restaurant scene not only serves a selection of great, responsibly sourced sushi, but it's also got a mean bowl of ramen. The savory broth is chicken based, but it comes served with a few slices of decedent pork and a soft-boiled egg, which makes it perfect for warming up your frozen innards. 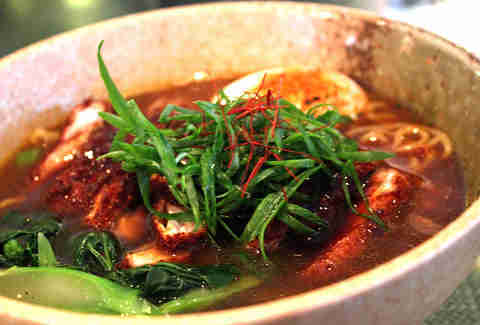 If your Grandma were to make you a bowl of ramen to help fend off a cold, it would likely be a little like this. What’s that you say? Brothless ramen? Is that even a thing? Well, in fact it is, and it’s actually quite delicious. 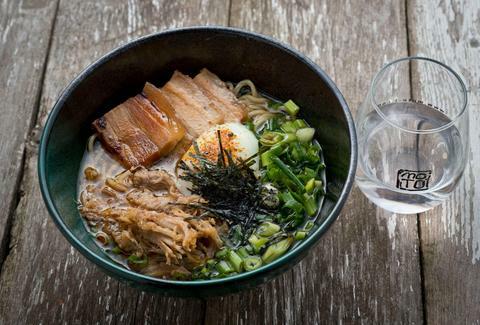 It comes served with several traditional ramen accompaniments like roast pork, bonito flakes, green onions, pickled onions, a poached egg, and some chili oil. Once the egg is broken, the yolk and the oil work together to dress the noodles. 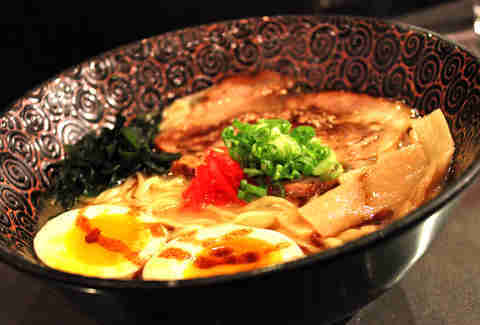 This ramen features a slightly sweeter broth that pairs incredibly well with the succulent, umami-packed fried pork cutlet that’s set adrift in the middle of the bowl with just a drizzle of rich tonkatsu sauce. The gai-lan (Chinese broccoli) adds a brightness that binds all of the flavors of the ramen into one tidy little package while the yolk from the beautifully poached egg adds richness and depth. We highly suggest you get this with a Big Man Japan, and if you don’t know what that is yet, well then, you best be getting on your way. Located in the center of an Asian market under the guise of a typical deli, this place makes some seriously sweet ramen with a rich and silky broth that coats the inside of your mouth, which will likely already be on fire from all of the delicious kimchee that's pack into it. The acidity from the fermented cabbage aids in cutting through some of the fattiness of the dish creating a perfectly balanced flavor profile. 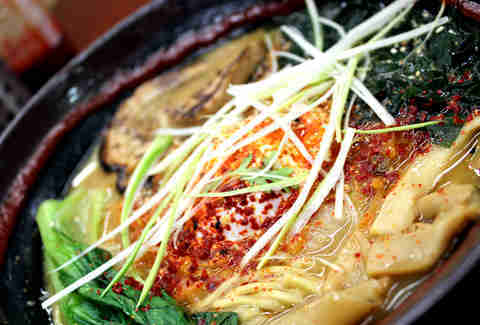 When it comes to truly authentic ramen, this one is the go-to. 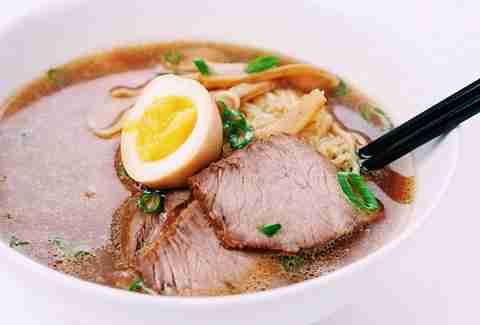 It boasts decadent, expertly prepared soft-boiled eggs and a dense, fatty broth that coats the noodles almost as though it were a sauce while the sharp strands of pickled ginger add a dramatic bit of flavor. 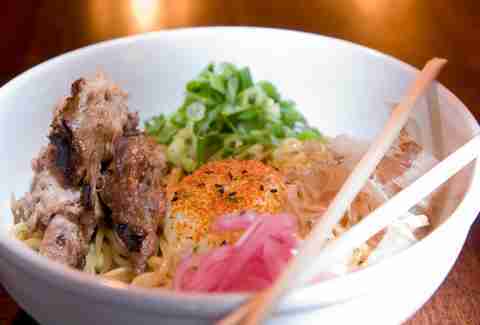 It's easily Minneapolis' best bowl of pork ramen.